Product DetailsWahoo! 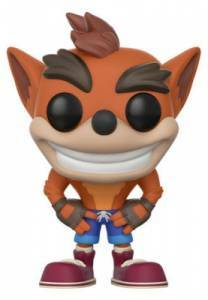 Funko Pop Crash Bandicoot joins the Pop! 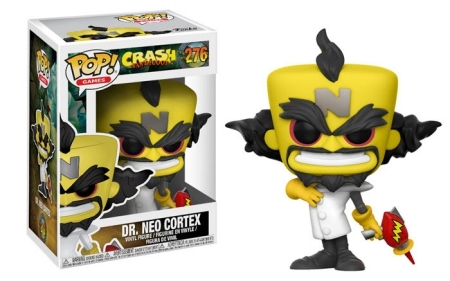 Games family with plenty of variations for the famed video game character, along with a figure for the mad scientist, and his chief enemy, Doctor Neo Cortex. 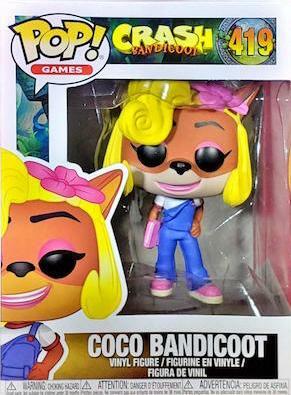 Like the many games that have been released since the 1990s, fans of the Crash Bandicoot series have a whole host of vinyls available to collect. 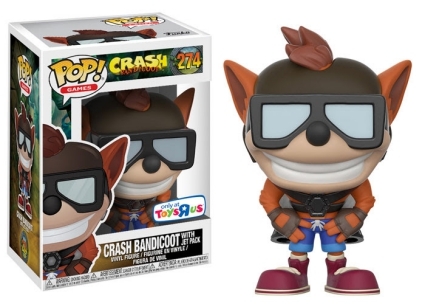 The main option for Crash sports classic denim cutoff shorts, gloved hands and a pair of Chucks. 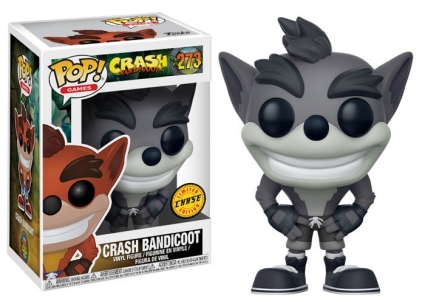 More limited, the black-and-white chase variant averages 1:6 boxes. Order Funko Crash Bandicoot Figures on Amazon. 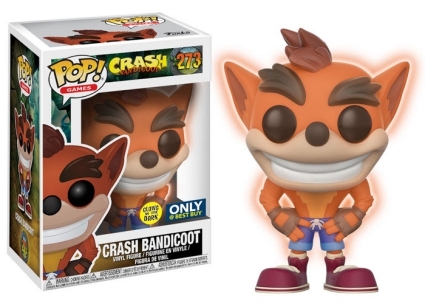 In addition, Funko Pop Crash Bandicoot offers several retail exclusives for the Tasmanian-like creature. 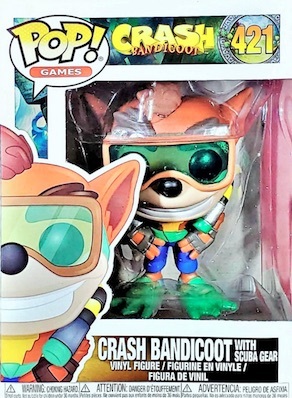 These include a Crash Bandicoot glow-in-the-dark (Best Buy), fur-like Flocked (GameStop), and a version with a Jet Pack (Toys R Us), while the Crash Bandicoot Biker Outfit figure is issued through Hot Topic. 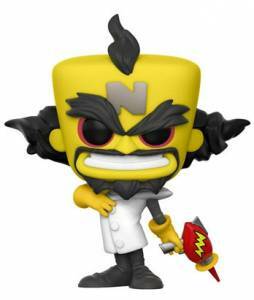 Lastly, the nefarious Dr. Neo Cortex is posed in a lab coat and yellow latex gloves while holding a laser gun. 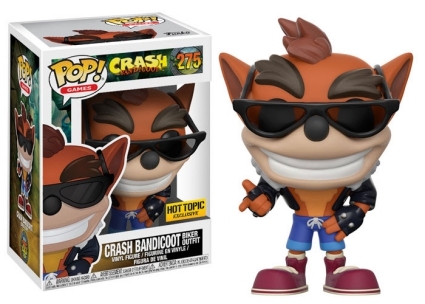 JESS HARNELL AUTOGRAPHED “CRASH BANDICOOT" 273 FUNKO POP. Funko Pop Crash Bandicoot And Spyro The Dragon Funko Pops! How are you? 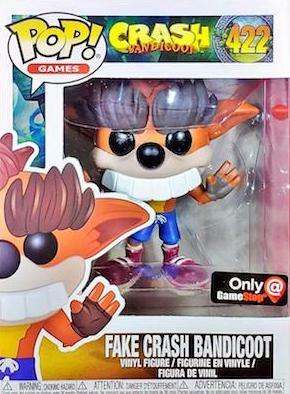 Recently, Fake Crash was seen at a GameStop, a photo was uploaded to the internet (in fact, it was uploaded to a Pop Instagram account), along with that sole image, the back was also uploaded. 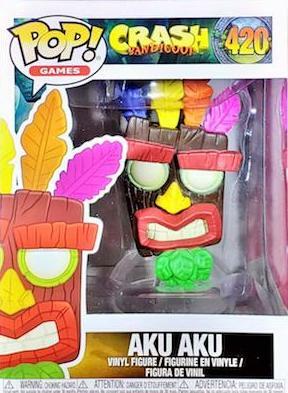 On it, was Coco and Aku Aku.